ow many times can you say the same thing over and over and over again? 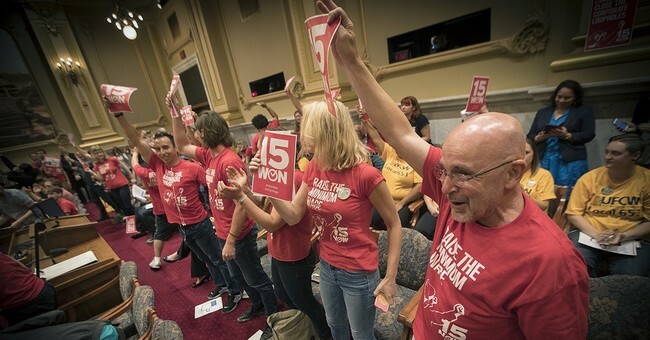 Beginning in 2014, the state of Minnesota began a series of minimum wage increases. 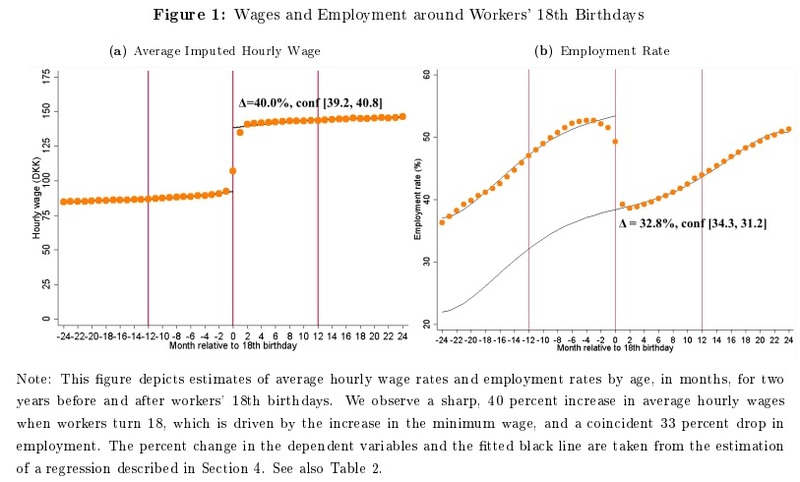 …While the effects of minimum wages changes remains a controversial topic, comparing relative outcomes in Wisconsin and Minnesota suggests that the minimum wage increases led to employment losses in Minnesota,particularly in the restaurant industry and youth demographic most affected by the changes. 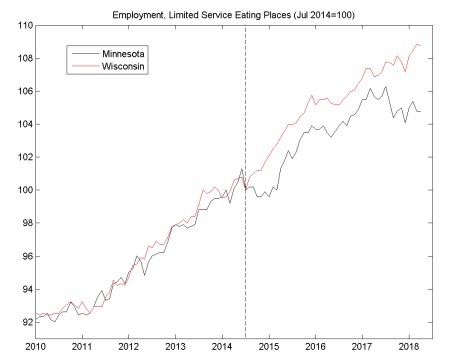 …Following the minimum wage increases limited service restaurant employment fell by 4% in Minnesota relative to Wisconsin. Further, youth employment fell by 9% in Minnesota following the minimum wage increases, while it increased by 10.6% in Wisconsin over the same time period. 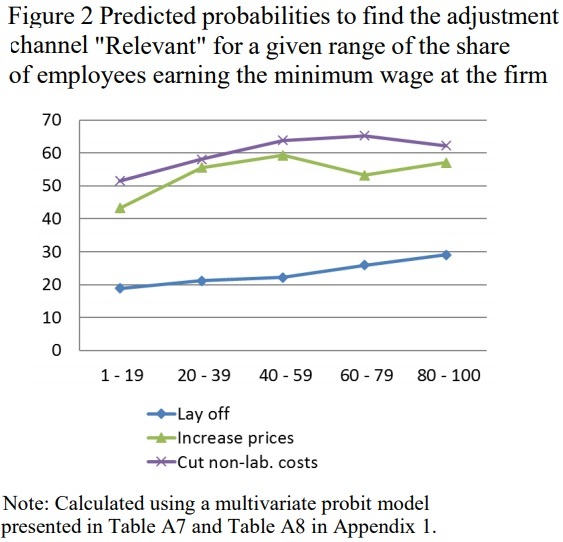 In addition, part of the increased wage costs employers faced have been passed on to consumers through higher prices. The relative price of restaurant food in the Minneapolis metro area had fallen by 2% in the four years preceding the minimum wage hikes, but it has risen by 6% in the four years since.